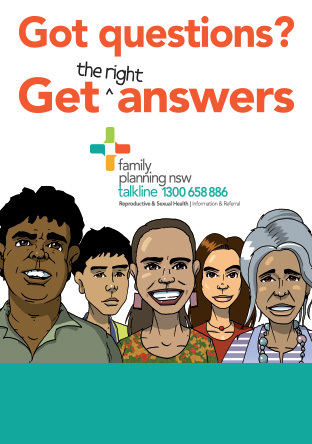 Family Planning NSW is committed to seeking the views of those who use our services or could potentially use our services such as individuals, their families and carers, members of community and membership groups, and representatives of advocacy organisations relevant to our areas of expertise. We also actively seek partnerships with stakeholders that help us to deliver on our promise to the community. As part of our commitment to consumers, we have developed a consumer engagement framework, in accordance with the Australian Charter of Healthcare Rights. The framework sets out our levels and elements of engagement, and describes the actions we have identified to deliver on our engagement. As a way of integrating consumer feedback into every aspect of our work and allowing consumers to be active partners with Family Planning NSW, we provide opportunities for community members to provide feedback on the success of projects through consumer engagement groups. We utilise this valuable feedback to inform planning, delivery and evaluation of projects and services. Family Planning NSW undertake pilot projects to gauge whether our projects are in line with the needs and priorities of the local community. Once the projects have been piloted their suitability, impact, effectiveness and value for money is evalutated in collaboration with our partner organisations before the project is scaled-up at a national level. By advocating and increasing the conversation around universal access to reproductive and sexual health and rights through partnerships and community engagement we will not only progress the achievement of the Sustainable Developmental Goals both locally and in the Pacific, but we will also see an increase in funding for reproductive and sexual health programs at a global level. If you have questions or would like to discuss how you can more closely engage with our work, please email media@fpnsw.org.au or call (02) 8752 4253.